We usually do not need to use all the water stored in our toilet. 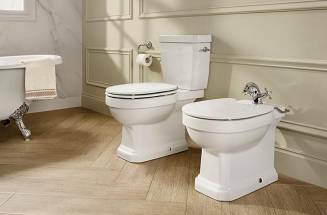 Choose a cistern equipped with a dual flush that will allow you to use only half of its capacity without unnecessarily wasting water. Reserve therefore the 4.5 or 6 liters inside the tank for those occasions in which you need a greater dragging capacity and be prepared to save a lot with a very simple gesture. 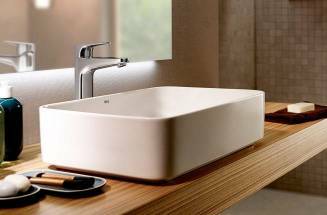 Do you adore design and are committed to the responsible use of water? Your solution is the W+W and you might not be aware of it. 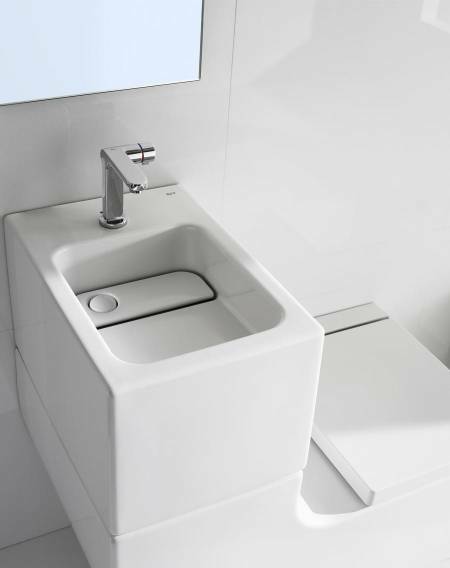 The innovative hybrid design by Gabriele & Oscar Buratti for Roca is a system that combines basin and toilet to achieve the maximum saving of water. 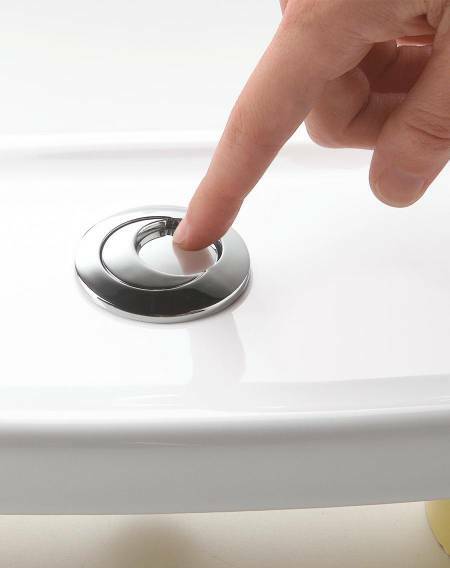 After washing our hands, the W+W filters the water and uses it later in the toilet flush. Moreover, its minimalistic lines are really spectacular, can you ask for more? 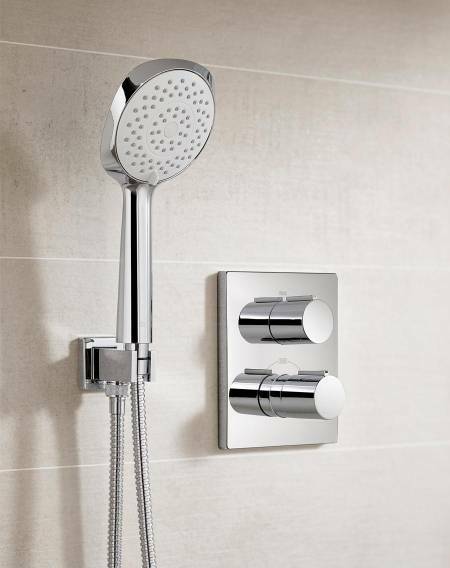 Have you asked yourself how much water is wasted in the shower while you try to find the perfect temperature? Traditionally it was necessary to calibrate the faucets by letting the water flow. 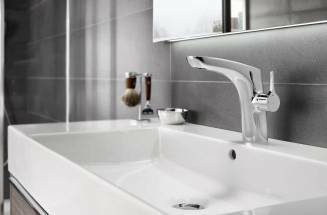 With thermostatic faucets, an internal mechanism preselects the temperature you desire to provide it just seconds after opening the faucet. You will save liters and liters of water and will also avoid unpleasant surprises like sudden changes of temperature or burns when touching the metal.